3/16” diameter 7024 rods also known as Jet rod…or Drag rods. Toward the end of the video there is a quick summary of the more popular stick rods for low carbon steels. 6010, 6011, 6013, 7014, and 7018. 7024 electrodes are also known as a drag rod. They are best used for putting down a large bead quickly. The 2 in 7024 indicates these electrodes are rated for flat and horizontal position fillet welds. 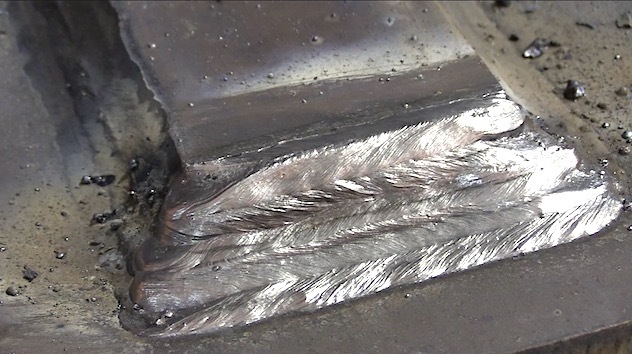 Some manufacturers literature recommend single pass fillet weds only but others state for multi pass fillet welds. 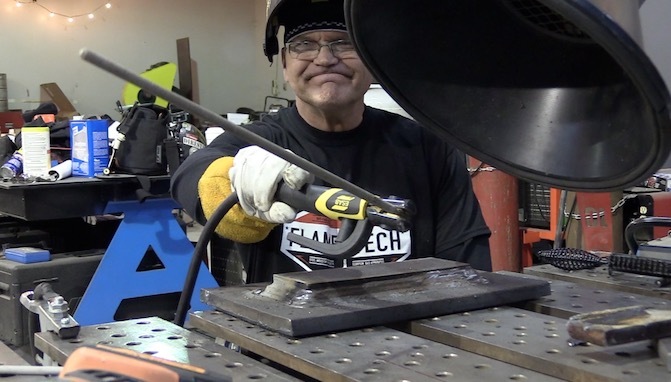 In this video, I ran into issues on the upper half of a multi pass fillet weld. The first bead welded great and looked smooth as glass. The second bead looked pretty good but had a noticeable ridge in the center of the bead. The beads after that were more horizontal and less flat …even though technically the lap joint welded is considered horizontal (2F) position. 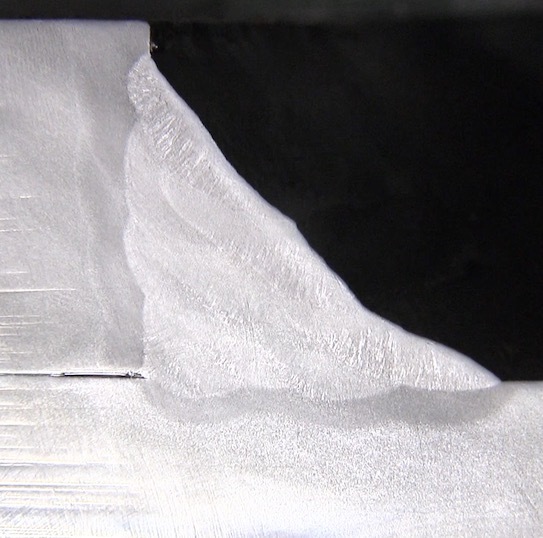 Where high deposition rate is needed in 2f fillet welds and other more productive processes like GMAW spray are not feasible, and low hydrogen electrodes are not specified, 7024 is an alternative. Personally, I would much rather use a 7018 rod of the same diameter and not deal with the issues of weird looking beads in horizontal position where there was no metal to support the bottom of the bead. 6010 rods are classified as a fast freeze electrode and are used a lot for pipe welding. Especially for the root pass both uphill and downhill. 6010 can be used on DCEP and DCEN but typically won’t stay lit on AC. A lot of smaller inverter type welders dont have the right type of power to weld with 6010. Thats where 6011 rods come in. 6011 rods are a lot like 6010 but can also be used on AC. And most inverter machines that will not burn a 6010 can burn a 6011…some better that others. 6013 are classified as fill freeze electrode. 6013 electrodes can be used on DCEP, DCEn and AC. They are easy to use and restart and can be used in all positions but they do have a heavy slag that can cause wormholes if incorrect angles or currents are used. 6013 rods have become known as “farmer rods” because of the ease of use and ability to use inexpensive AC buzz box welders. 7018 electrodes are classified as low hydrogen electrodes. 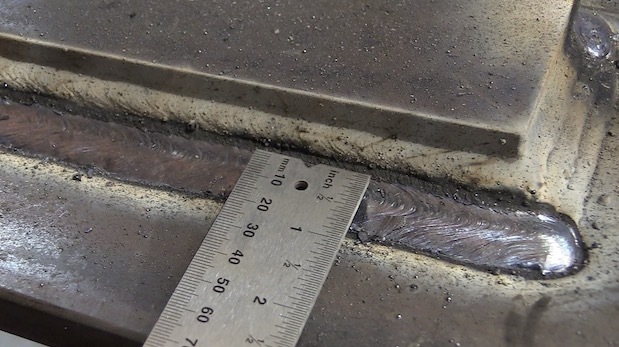 Since hydrogen can cause cracking problems in thick steel ...especially high strength steel, 7018 rods have become a standard in structural welding. In order to maintain the low hydrogen properties, 7018 rods must be kept new in box, or in a rod oven and there are limitations on how long they can be exposed to atmosphere before use.